Technology is one of the major driving factors in today’s era and mobility has become an unavoidable need for all the businesses. Technology has increased the pace of work and information is instantly available to the customers on fingertips with just a click. Mobile devices are readily used in day to day functioning of the organization which serves a long way in raising the performance level. 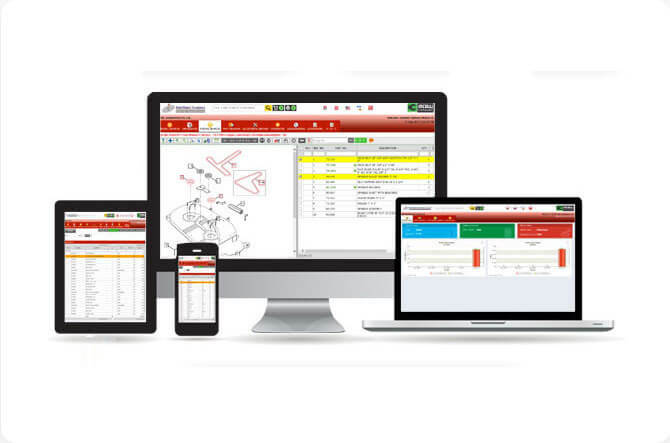 OEMs are nowhere behind as they have started to explore the world of digitalization with Intellinet Electronic Parts Catalog Software. This software digitalizes the manual process which results in boosting sales. Our electronic spare parts catalog is easily accessible via different mobile devices which include - mobile, tablet, smart phones etc. 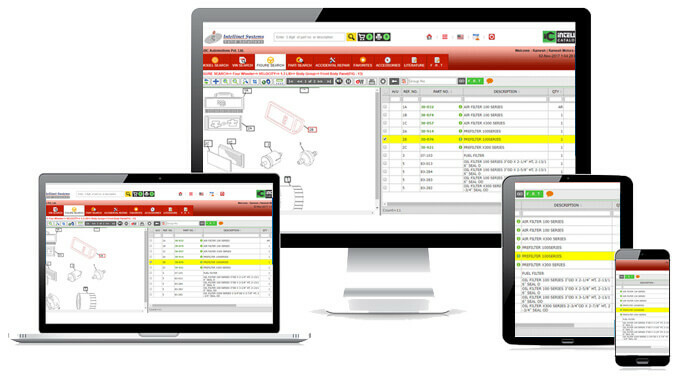 Thus, the maintenance workers, field engineers, warehouse staff and dealership network of OEMs can easily access the information whenever required. Also, native IOS and Android App is available to the users which make it easily accessible on various different platforms. 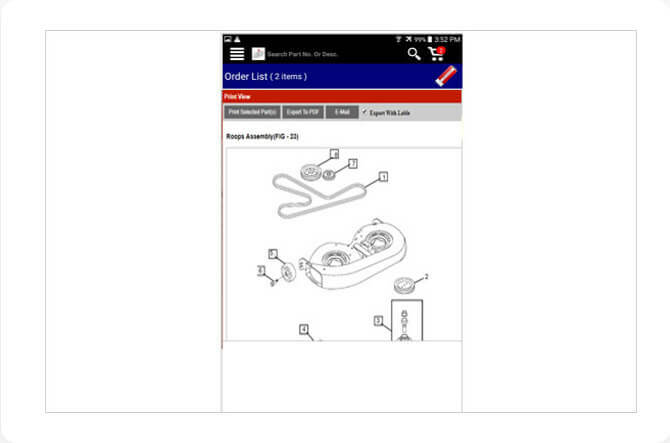 As, our electronic spare parts catalog software is supported with illustrations and graphics. 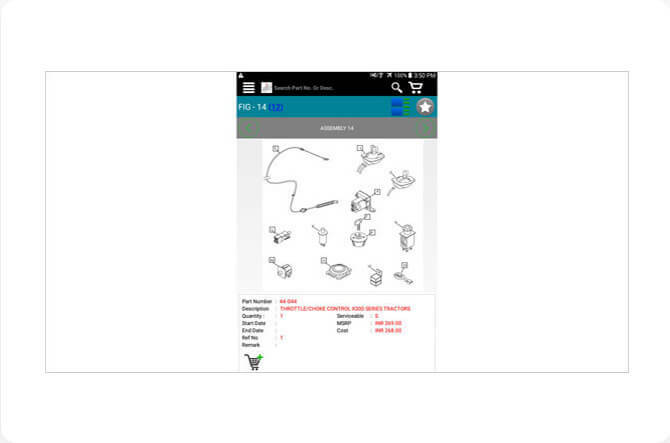 Similarly, the mobile applications also display spare parts and accessories with illustrations, 2-D graphics to help dealers easily find the accurate spare parts through mobile also. Driving aftermarket sales is one of the major objectives of OEMs and instant ordering via mobile devices will helps to fulfill this objective. 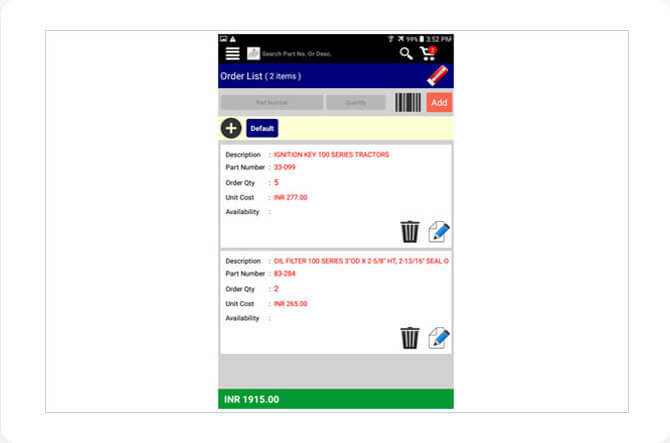 Intelli Mobile also provides integration with order management system and dealers can instantly place an order and can add items to cart just like an e-commerce website. Intelli mobile not only makes parts and accessories available in a single click but the important information are also easily accessible. Various descriptive documents such as repair instructions, installation instruction and other service documents can either be downloaded or displayed in word, PDF, excel, XML and HTML format. Apart from these features, Intelli Mobile also offers accessibility to various advanced connectivity tools which include email, print etc. Thus, dealers can easily connect to OEMs whenever they want. 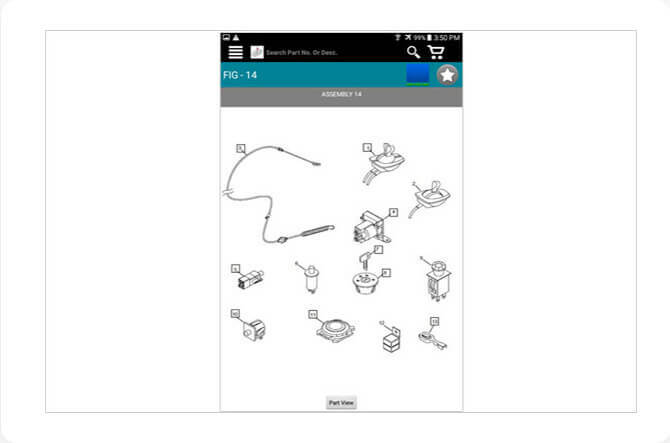 Identification of accurate spare parts is a challenging task but with mobile application it becomes a child’s play. 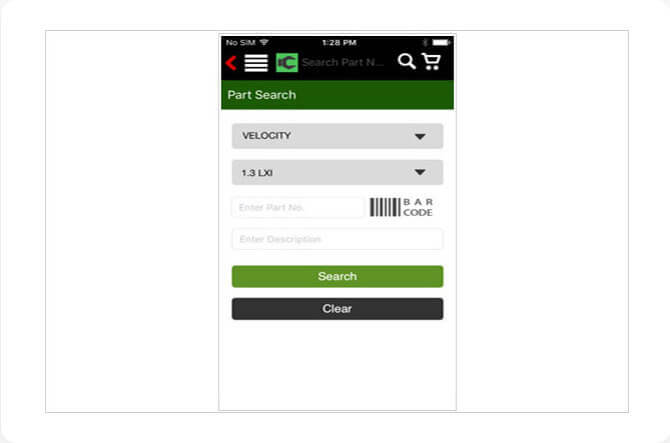 With mobile dealers can easily scan the QR code of a particular part in consideration and can instantly identify the accurate part. This eliminates the error in finding and ordering the wrong part. Intelli catalog makes the best use of unique smart phone features such as split views, gesture control, touch screen etc. for providing exceptionally amazing user experience. Intelli Mobile is specially designed to meet the mobility requirement of the OEMs and their dealership network. It is provided along with EPC Management Solutions to help OEMs retain their competitive edge in the market. Intelli mobile helps OEMs to make spare parts management, accessory management, spare part identification, ordering process etc. a techno-friendly and error free process. At Intellinet, we are committed to provide exceptionally unique solution with high mobility factor to help OEMs drive maximum profit with the latest technologies. Intelli Mobile is helping OEMs to move in pace with the latest technology and grow their business exceptionally well .